A Cumberland County teacher has been charged with assaulting a handicapped student. 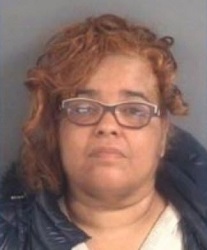 Dawn Owen, age 52, has been charged by the Cumberland County Sheriff’s Office with two counts of assault on a handicapped person. “On February 5, 2018, Dawn Owen, a teacher at Ramsey Street High School, struck the victim, a special needs student on the head with a ruler. About twenty minutes later, Owen grabbed the victim by the hair and walked her across the classroom to a bathroom area,” the Cumberland County Sheriff’s Office said in a news release. The charges are Class F Felonies, carrying a maximum punishment of 59 months (just under 5 years) in prison. Owen was arrested on March 5th and later reported to the Cumberland County Detention Center held under $1,000 unsecured bond. Owen posted bond and was released. The next court date for Owen is March 20. Owen a special needs teacher at Ramsey Street High School and has been since 2003. School officials in Cumberland County say that Owen was removed from the classroom in February after law enforcement notified them of the arrest warrant for Owen, which was dated February 5th. Law enforcement arrested Owen on March 5th and had been attempting to arrest Owen for almost a month, according to WNCN. Owen has been suspended with pay pending the outcome of the investigation according to school officials. This entry was posted in CRIME, EDUCATION, Quiet Epidemic and tagged Cumberland County, Dawn Owen, Quiet Epidemic. Bookmark the permalink.